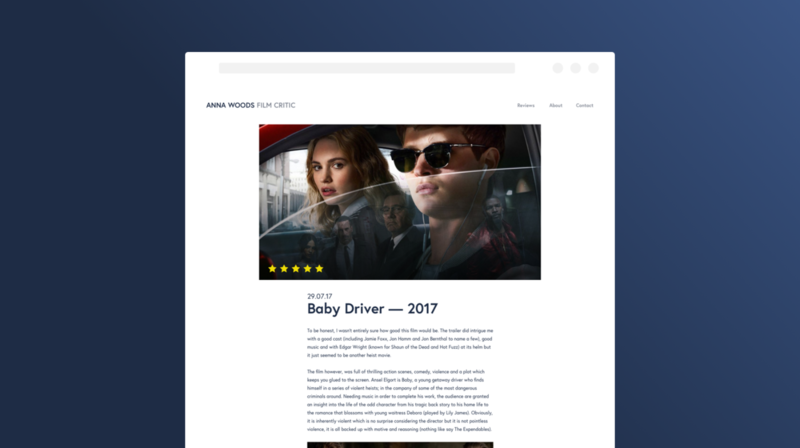 Design and build a custom film-blog Craft implementation for Anna Woods, an aspiring Film Critic — and also my partner... 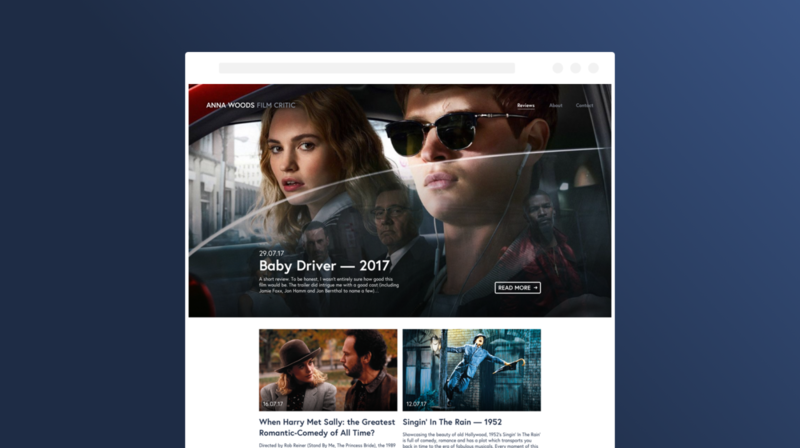 Built in Craft, and mirroring her old Wordpress website, the new, custom built website is purpose built for film reviewing. Each film is awarded a star rating out of 5. How best to CMS something like that? Make Anna edit an image for EVERY review to put the stars on? Then if she changes her mind, that image needs re-editing and uploading? Nah. Too long.